As popularity has grown for Forex Trading and Spread betting, so has the number of platforms available on the internet. The advancement of broadband speeds has made trading possible, there is also the added attraction of tax free gains. Over recent years, with increasing numbers of online traders, this area of financial exposure and risk has increased. As a result, there has been an alarming rise in legal disputes, particularly in areas of high market volatility such as major currency pairs subject to large price fluctuations. There are now products to suit everyone’s particular tastes. Whether your preference is for high risk derivatives or currencies in the form of CFD’s or Spread Betting. Perhaps you would prefer to trade the Indexes such as the FTSE100 or the Dow Jones. Mostly this is day trading, some traders take positions for a mere few minutes, others for much longer. The potential for profit is high, with the opportunity to significantly increase the size of your trading account in a very short period of time. However the losses can be catastrophic. 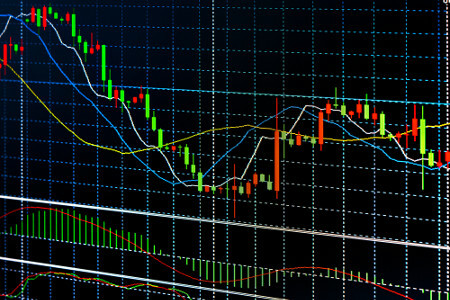 Even if you have covered your positions with stop loss orders, (typically 10% or 20% above or below whether you are long or short), when there are dramatic price changes there can be discrepancies and these can lead to disputes. All deal tickets and live charted price movements over accurate times scales, are critical in proving whether positions have been correctly closed. These will often be required to be given in evidence where a margin call has occurred. The company will give plenty of warnings of the risks on their website, however without Guaranteed Stops in place (that guarantees a stop order price) they will claim to close a position out as near as possible to market levels at the time. This, in times of high volatility or as a result of a dramatic news event, can have a devastating effect on your account balance, wiping it out and a potential further demand for the applicable loss that can extend to thousands of pounds more. Companies offer varying levels of service. Many of these are reputable, UK based and FCA regulated, however there are others that are not and may be registered offshore. Some offer better Ask/Bid spreads, some more leverage, (higher margins from 5 times, 10 times or 20 times your cash deposit). Ultimately these are short term loans made by the trading company to allow you to speculate on a much larger position. This greater exposure also brings with it greater risks than your cash on it’s own would proportionally allow. Some companies may claim to be able to make you a fortune, however this is unfortunately a numbers game with few winners. losses do often outweigh any gains over time. This is unless you are skilled enough to be in the elite top 10%. These traders tend to have spent a lifetime career in the futures market. In our experience the problem occurs when a trader’s account gets blocked. This will often be as a result of a position that has overextended your margin available. The firm will normally attempt to contact you to request a further cash transfer. If they are unable to do so they will put your account on stop and automatically close you out of your positions. It may be that your cash deposit has been entirely depleted or possibly your account losses have gone beyond this. Timing and responsibility for this will determine the loss. You are obviously now unable to trade at all, and this may leave you helpless. The company could prove difficult to contact and not be very forthcoming. They may well put the matter in the hands of their lawyers and you could be placed in the onerous position of waiting for them to contact you. This can result in a letter prior to issuing proceedings against you in an attempt to recover all the money. This will often require a response within a short period of time. You will need legal advice and representation to prepare a defence against such a claim. Alternatively you might want to pursue a claim against the company yourself. This maybe for failure to complete a certain transaction within a required timeframe, such as a limit order, a negligence claim. Perhaps you are suspicious of fraudulent behaviour. This may require an undertaking by the company to submit all recorded transactions. If a claim has a reasonable chance of success, then it needs serious consideration. This may be your only means of recovering the monies that you held on deposit that you have been informed are now lost. We have specialist solicitors that have experience in dealing specifically in futures trading disputes. We can help and offer you legal advice, often, dependent on the size of the claim, on a conditional “No Win No Fee” agreement.